Wilfrid Laurier University has recently released their author selection for the upcoming winter term’s Edna Staebler Writer-in-Residence. Canadian novelist Gary Barwin will be joining the school on campus from Jan. 14 to Mar. 22, 2018 to share his expertise as a multidisciplinary author, poet and composer with the study body. On Oct. 22, Laurier will also be welcoming Alison Pick, the Edna Staebler Visiting Writer for 2018, who will be on campus until Nov. 2 for two weeks of engaged learning with students and faculty. “[With regard to] the writer-in-residence program, we’ve split it now between a winter, longer residency and a smaller visiting writer in the fall,” said Tanis MacDonald, associate professor in the Department of English and Film Studies and chair of the Edna Staebler Writer-in-Residence Committee. Laurier offers several awards and residencies in honour of Edna Staebler’s legacy. Staebler was a Canadian author and philanthropist, whose roots were here in Waterloo and established the award for creative non-fiction at Laurier University in 1991. The Edna Staebler writer-in-residence program was added in 2013 and the visiting author program in 2017. His residency at Laurier will extend beyond the Faculty of Arts to the Faculty of Music, as well the Martin Luther University College. “The idea with the writer-in-residence — and the visiting writer too — is that professional writers will come and work on their manuscripts at the university, do public talks, talk to students in classrooms and do some one-on-one with students who are thinking about the writing life,” MacDonald said. The selection for the placements of each year’s authors is conducted by a selection committee that receives many applications from talented Canadian authors, all eager for the opportunity to engage with our campus. “We run a competition and advertise throughout the literary community for a 10-week residency for a writer who works in any genre. 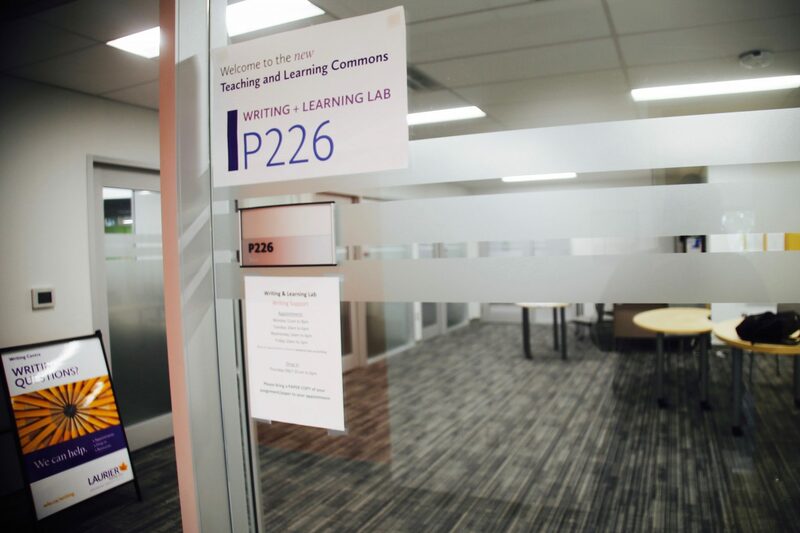 They need to submit a writing sample, their CV, two letters of reference and a plan for what they’re going to do when they’re at Laurier,” MacDonald said. “[Gary Barwin’s] first novel, Yiddish for Pirates, won a number of awards … he’s also been a working poet for a couple of decades and he has a PhD in music and works as a music educator — so he kind of does everything,” MacDonald said. Barwin has done residencies at a number of other post-secondary institutions including Western University and McMaster University. “He also said in his application that he was interested in liaising with the people over at the Office of Indigenous Initiatives, because he wants to talk about the dual genocides; the Indigenous genocide in Canada and the Jewish genocide in Europe,” MacDonald said. Barwin comes from a background of ethic and spiritual Judaism. “He’s someone who explores the difficulties of history and brings comedy towards what is tragedy also,” MacDonald added.